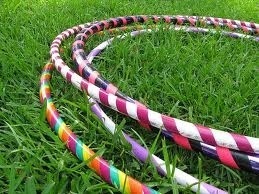 Where is your Hoola Hoop? Here’s a thought, I’m a control freak! Recently an associate shared a story with me as I was having a stressful day. A young woman having crap poured into her life from every possible direction, felt as if she couldn’t take another single breath. Being a member of AA she reached out to the only person to whom she could entrust to understand, her sponsor. The sponsor listened intently as the young woman rattled off everything that was holding back, pinning her down, going wrong and stripping her of her confidence, dignity and possibly her sobriety. When she finished, the sponsor told her to immediately go to Wal-Mart and call her upon her arrival. As instructed the young woman upon her arrival frantically dialed the sponsors number. In a calm and supportive voice the sponsor instructed the young woman to go to the toy department where she would locate and purchase one single item…a hula hoop. She instructed the young woman to call her back once the transaction was completed before hanging up the telephone. Anxious and somewhat baffled she went in search of the toy department, purchased a hula hoop redialed the sponsors number. The sponsor answered on the third ring projecting a smile and reassurance in her voice. She then instructed the woman to take her purchase and go out to the parking lot. The young woman frowned, but did as instructed without question. 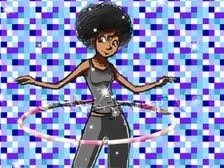 Once outside, the sponsor told her to take the hula hoop in both hands and slowly raise it above her head. After a few seconds the sponsor instructed her take two deep cleansing breaths and to drop the hula hoop over her body allowing it to fall to the ground. The young woman again did as instructed and stood in silence as the hula hoop begin to free-fall from above her head quickly landing on the ground at her feet. The sponsor said nothing, the young woman said nothing, the curious passerby’s said nothing as they stared with curiosity at the odd young woman. After what seemed like an eternity the sponsors voice crackled through the phone. Inside this hula hoop is everything within your control and all things outside the hula hoop…well ehh, not so much lay all things beyond your control. The young woman paused and pondered the sponsors words and then she silently took one step outside of the hula hoop, bent over and lifted it off the ground. She held it tightly in the grasp of her two hands and slowly raised it over head pausing for a brief second before allowing it to rapidly fall to the ground encasing her body in the process. …and then she laughed. Here’s another thought…no one controls everything. Should you ever have a similar moment, feel free to go purchase a hula hoop, raise it high above your head and allow it fall to the ground identifying your boundary of control. Because we all must acknowledge what “WE” are able to control. 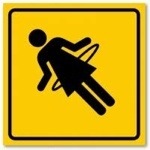 Her secret is, she acknowledges she can only control what is within her hula hoop.